Devotees to green tech often find that their army is invincible, only to have their one-health Drones get slaughtered before they’ve really paid for themselves. There’s nothing worse than slowly watching your economy get destroyed before being able to build a critical mass to breach the enemy’s defense. Trinity drone solves that problem by replacing 3 Drones with a 5 health protective shell that operates at full power until all 5 damage is dealt to it. Very few other units in the game allow you to build up a powerful economy without committing to much, if any, defense. Iso Kronus shines in games where you need extra burst damage to get past big defenses. An alternative to Gauss Cannon, Iso Kronus attacks for twice as much every other turn. You often want to make sure your Iso Kronuses are attacking at the same time, which is easy since gold and green can be stored. Be wary of your opponent picking off your Iso Kronuses on the turn before they would attack. The big green defender that doesn’t consume your Drones. It’s fatter than Wall, but doesn’t have the absorption benefit that Walls have. Aegis can often be combined with an absorber like Wall for great value, because it’s more economically efficient than buying three Forcefields. 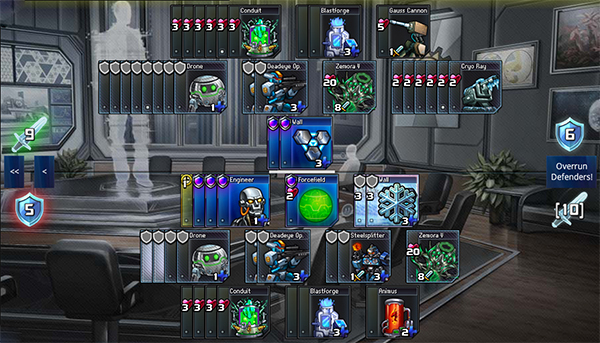 Fabricator builds 40 health worth of units over 8 turns, which guarantees a bright future for your game once its full value kicks in. Simple and brutally efficient, the only downside is that your opponent will see it coming from miles away… But that doesn’t necessarily mean that they’ll be able to react in time. Especially in unit sets with heavy-hitters or Chill, Gauss Fabricator can give you the extra attack potential per turn to eventually overwhelm and breach your opponent. A single Cryo Ray is an inefficient way to cancel out their defending Engineer; but once you have a couple of these, you have so many options. Freeze their biggest defender and deny them the ability to absorb damage, or freeze all their little defenders and take out their more expensive units or even legendaries. Fortunately green can be stored, so you can get a pile of these all at once. This gives your opponent less time to react! Another little toy for Conduit-wielders to play with, you can store up your G’s and fit these into your build order when it’s maximally damaging to your opponent. They will have a turn to react, but that could be futile if you’ve been storing green and gold all game in order to spam a huge Gauss Charge attack. Drones take revenge! This unit turns your flimsy Drones into high-HP cannons of doom that make use of your leftover greens at the end of the game. Use the ability sparingly when your opponent is already whacking at your Venge Cannons though; it is better value to compromise the HP on your Venge Cannons while you still have Walls to protect them. Normally, paying 4 Green for this exchange of blows isn’t great value, but if you have high-health Trinity Drones and Gauss Cannons, then 2 damage to you means a lot less than 5 damage to your opponent’s Tarsiers. Another time to take advantage of Cluster Bolt is when your opponent has no attack and you have a Wall, since their 2 damage will only be absorbed. Zemora has a cheap initial cost, and allows you to unleash your stored green upon the enemy after a number of turns. While you’re waiting for Zemora to construct, your Conduits will be working to produce future attack, which Zemora duplicates as gold for your economy. For maximum efficiency, have enough Conduits to power Zemora every turn. Zemora Voidbringer and Cryo Rays are one scary combination! Add Deadeye Operatives, and that’s gg. Asteri Cannon is a heavy piece of machinery that fires rounds at your opponent from behind thick metal casing. This cannon can be used to bolster your fleet of attackers, and if things turn ugly, your defense. An Asteri Cannon can make up to two Forcefields, but be wary of doing this too often – you’re trading 4 health for 2, so make sure that you can keep the cannons safe. It’s the least robust form of defense in that it needs to be used right away, provides no defensive finesse, and is susceptible to Chill. However, it is also the cheapest and so easy to fit into your build order. Barrier is comparable to Forcefield, except it can be used even when you don’t want to consume your Drones. This bubbly construction combines the efficiency (and also the weaknesses) of Barrier with the ability of Forcefield to tap into your Drones. Combined with a strong absorber, it actually makes you feel like you can defend forever, which is a pretty awesome feeling once in a while. 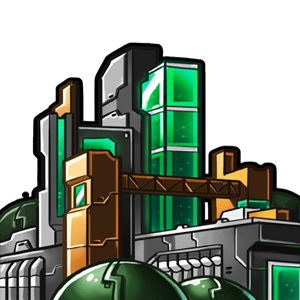 Stay tuned for future articles on Blastforge- and Animus-oriented strategies! Will Ma strives to try vastly different things in life. During the four years of his undergrad, he profited over a million dollars in online poker, appeared everywhere in school music ensembles, and ran a marathon...while being a housing don. He quit his PhD at MIT to found Lunarch Studios, and explore his childhood dream of deterministic Magic the Gathering. 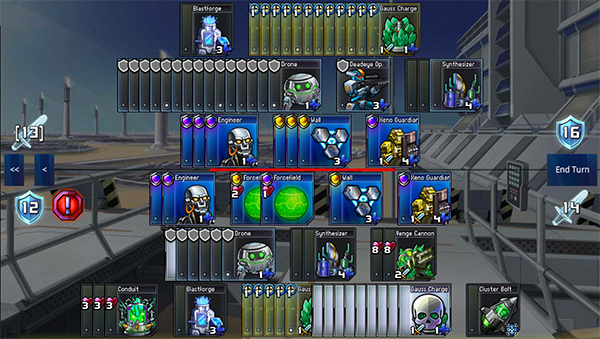 Nowadays Will dreams about beautiful game scenarios in Prismata that allow for endless strategic transitions. ← I scream! You scream! We all scream for ice cream Steelsplitter! Adds a specified amount of Chill to the target until next turn. Units with Chill at least equal to their health cannot block.